Despite shoveling 3-4 inches of snow and ice off my driveway this week (and earning Michelle Obama arms), I am optimistically thinking spring, like all gardeners. I have even ordered my seeds already! Now, I’m a first-timer at real gardening. I had a pot of cherry tomatoes, some herbs, and some unsuccessful peppers on my third floor balcony in my single girl days. And I guess I shouldn’t discount all of the manual labor I carried out on the farm in the family garden. As a kid, the idea of planting seeds and then weeding the garden incessantly sounded awful and I hated it. My siblings felt the same. Which is why my parents are shocked that all of my sisters and I are eagerly planning our own gardens. I think we’ve all selectively forgotten the drudgery of garden work and have developed a rosier sense of nostalgia. My motivation stems from the desire to shorten the food chain a little. I’ve already talked about how the meat-eaters in my family get their hands dirty (and a little bloody) to process their own beef. Now it’s my turn to get my hands dirty in a garden to grow some of my own vegetables. A bonus of growing my own vegetables (much like in raising your own beef) is that I can control everything about how these plants are grown. This starts with the soil. My first step was starting to make my own compost. So I bought a tumbling composter and have been faithfully collecting my kitchen scraps, braving the winter weather, brushing off the snow and ice, cracking open the lid, and dumping in kitchen scraps. Nothing has really decomposed at this point, thanks to our sub-zero temperatures…BUT I remain hopeful. I remain hopeful that come warmer weather, these kitchen scraps will transform into beautiful, rich, black compost that will nurture my little seedlings in a few months. I also intend to find strawberries, asparagus, and herbs to add to the garden. Since I’m new to this, I’m starting small (I think). The list of fruits and veggies I would like to grow is way longer, but I’m trying to exercise some restraint. When the snow melts, I will need to take measurements of the future garden site and get excited about building raised beds and putting up the fence to keep the deer and rabbits out of the garden. Even though he won’t get to go outside and play in the garden or chase the rabbits, Gnocchi the cat is very eager to help me plan the garden. 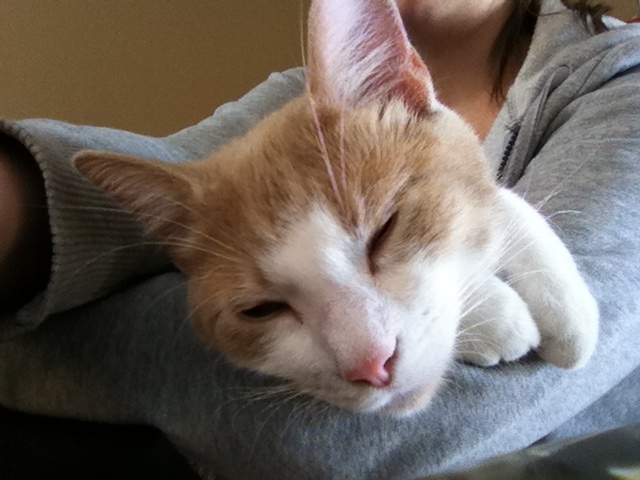 And by helping he commits to laying in my lap or on my arm while I work at the laptop. 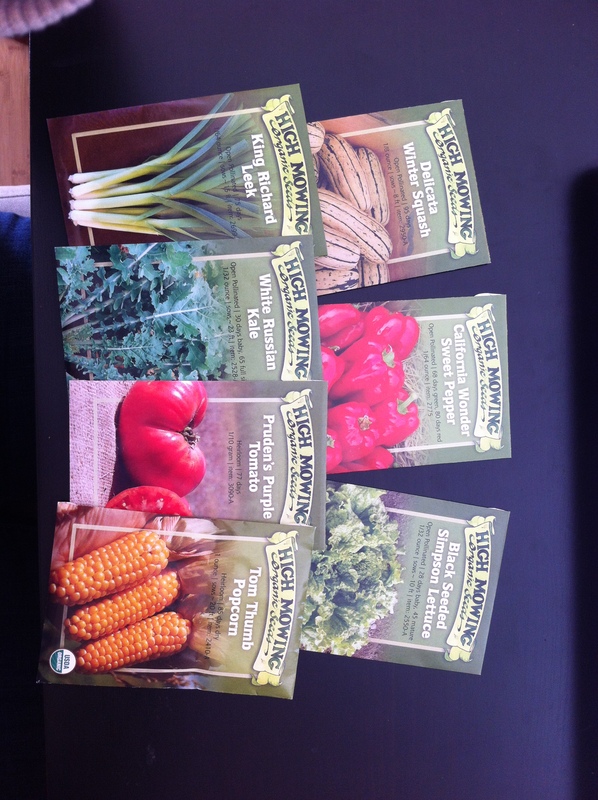 What do my gardening readers like to grow? What kind of advice do you have for a newbie?